By John Mohan, Director of the Third Sector Research Centre, University of Birmingham, celebrates the 10 year collaboration between Voluntary Sector Review, the Third Sector Research Centre, University of Birmingham and the Voluntary Sector Studies Network. To mark the anniversary, John has curated a free article collection featuring key articles from the last ten years. Despite the considerable efforts of many individuals and organisations to establish academic research centres in the voluntary sector field in the UK, it was only in 2007-8 that significant investments were made by the UK’s Economic and Social Research Council (ESRC) and other funding partners in the research and evidence infrastructure for this field. Ten years ago, in the Third Sector Research Centre (TSRC) at the University of Birmingham we were in the first phase of hiring staff, setting our course for a decade of highly-productive research and knowledge exchange. In parallel, Policy Press and the Voluntary Sector Studies Network (VSSN) were in discussions about creating a journal to provide an outlet for the growing body of research in the field. 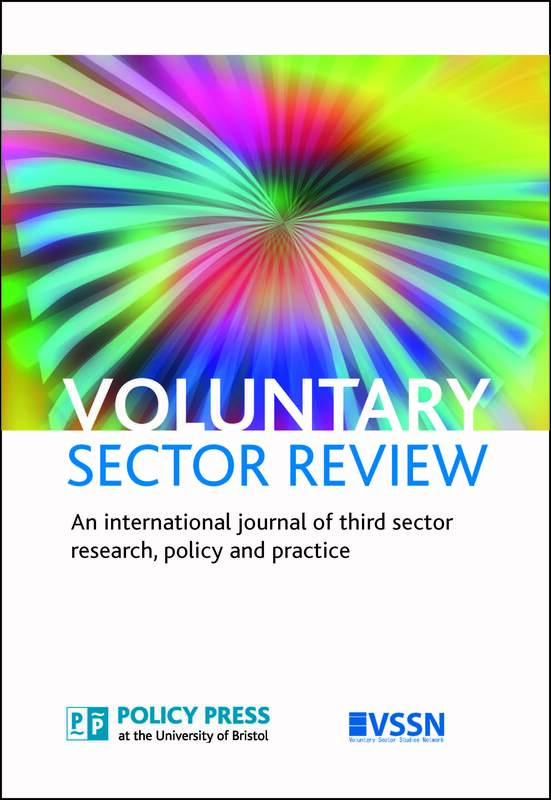 As Peter Halfpenny, Voluntary Sector Review’s (VSR) first editor, acknowledged in the first volume of the journal, the voluntary sector research and practitioner community owe a great deal to Policy Press for taking the risk of launching the journal in the midst of a recession. In TSRC we were pleased to be able to support this initiative, providing some resources from our core funding to assist with the start-up costs of the journal and, until 2013, the cost of administrative assistance. Since then VSR and TSRC have worked closely together and numerous TSRC staff, in an individual capacity, have contributed to the journal’s editorial board. ♦ contributions to debate about the impacts of the third sector, such as controversies about Social Return on Investment (SROI) methods, or uncertainties about the impacts of volunteering on individuals. ♦ the character of public service reforms, such as personalisation in social care markets, commissioning and market stewardship in particular fields of activity, the “right to request” policies whereby organisations are “spun out” of core public services into new organisational forms, or social investment policies. This free-to-access collection includes papers by the core academic staff of TSRC but it also reflects contributions from early-career staff and students. Many of these – over 15 at the last count – have moved into more established academic and practice positions in the field. It is to be hoped that they, and their successors, will take the work of TSRC forward and contribute towards the further development of VSR as a key academic outlet in this field. On behalf of everyone at Policy Press I’d like to thank the TSRC for their support for Voluntary Sector Review and their continuing dedication to research and knowledge exchange in third sector studies. 2019 is the joint 10th anniversary of the TSRC and VSR, and a great opportunity to celebrate some of the contributions which helped shape the journal from its earliest days and develop its mission from supporting research and knowledge exchange in third sector studies in the UK, to helping to build links between researchers, policymakers and practitioners internationally. On behalf of VSSN, I would like to wish TSRC a happy 10th anniversary! Ten years is an impressive milestone, particularly in the current climate. TSRC has been and continues to be an important part of the voluntary sector research community. Through its research and knowledge exchange activities, it has facilitated a deeper understanding of the UK sector. We would like to acknowledge the key role that TSRC played, with VSSN, in supporting the establishment of VSR – particularly through the funding of early administrative support and ongoing contributions to the editorial team, pool of reviewers and article submissions. Thank you and Happy Anniversary. Harflett, N. (2015) “Bringing with them personal interests”: the role of cultural capital in explaining who volunteers, Voluntary Sector Review, 6, 3-19. Dickinson, H and Miller, R. (2011) GP commissioning: implications for the third sector, Voluntary Sector Review, 2(2), 265-273. Volunteers Week: The Future of Volunteering? This Volunteers Week, Rose Lindsey and John Mohan, co-authors of ‘Continuity and change in voluntary action’, part of the Third Sector Research Series and out now, look at the impact of political rhetoric and public attitudes on volunteering on levels of engagement. Voluntary action has been a hotly-contested topic over the last 30 years. The International Labour Organisation sees it as an “essential renewable resource” for society. Margaret Thatcher, in her famous speech to the Women’s Royal Voluntary Service, anticipated a demographic dividend from the retirement of active baby-boomers. Subsequent governments promoted voluntary action not only for its direct benefits (e.g. providing services) but latent impacts (e.g. on social capital, health and employability). The most recent manifestations of pro-voluntarist arguments have been the “big society” of David Cameron and the “shared society” of Theresa May. However, to what extent have several decades of such arguments and policies had impacts on levels of engagement? There is certainly evidence that volunteering is a renewable resource if we look at statistics about the proportions who volunteer. These have remained steady for some 35 years, albeit with some fluctuations (a recession-induced decline and a short-term boost after the 2012 Olympics). Yet, despite Thatcher anticipating a significant increase in proportions of people volunteering, this hasn’t happened. Nor does it look as if the expansion of higher education – known to be a strong predictor of volunteering – has had much effect. Our research demonstrates that while many people dip into and out of volunteering, voluntary action is dominated by a small core of long-term volunteers. In the British Household Panel Survey (BHPS) – the only significant longitudinal study asking questions about volunteering – very small proportions of the population report volunteering in every survey wave. In a 12 year period (1996-2008) most people reported only intermittent volunteering. We can interpret this evidence in both a positive and negative light. For example, if we consider individuals’ contributions over their life courses, a much greater proportion of the population is involved in volunteering than is revealed by one-off cross-sectional surveys. The more challenging issue for voluntary organisations, however, concerns whether and how they can sustain that involvement over time. When considering this question, it is useful to have insights derived from people’s own understandings of volunteering. We use extensive qualitative material from Mass Observation, tracking individuals’ accounts of the place of voluntary action and unpaid work in their lives. The material offers rich insights into writers’ individual trajectories into and out of volunteering, the social networks through which they became involved, their motivations, attitudes, and their views as to what voluntary action can and cannot do. Most strikingly, when asked about their involvement in unpaid work, or activities in their community, what they discuss first of all is unpaid care for relatives or neighbours. People prioritise what’s closest to home. This is hugely important in the context of great pressures on the social care system: the prioritisation of unpaid care will limit the time and capacity that individuals have to engage in voluntary action in other parts of their communities. “I HAVEN’T GOT A CLUE WHAT IT MEANS. NOBODY I’VE SPOKEN TO DON’T KNOW EITHER. IF IT’S ABOUT OUR PM SAYING WE’RE ALL IN THIS TOGETHER, IT’S A LAUGH”. Other respondents articulated a sense of exhaustion – “my days of volunteering for anything are over” – and concern that calls for more volunteering would widen disparities between communities. There were also concerns iterated in the 1990s and again in the 2010s, about funding cuts and volunteers substituting the work of paid-staff. In this context, writers repeatedly argued for clear demarcation between what is the responsibility of public authorities to provide, and what should be expected of communities. There is long-run stability in engagement, which is positive news. But given these strong views, and the recognition that the greatest burden of voluntary effort is being shouldered by relatively small subsets of the population, our study points to clear limits as to how far we might expect to increase engagement in volunteering further. Continuity and change in voluntary action by Rose Lindsey and John Mohan with Elizabeth Metcalfe and Sarah Bulloch is available with 20% discount on the Policy Press website. Order here for just £60.00 or see more from the Third Sector Research Series. 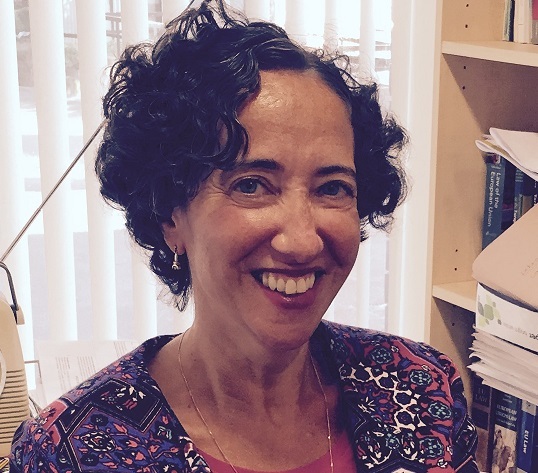 Academic Debra Morris specialises in charity law. Debra’s research has focused on many different aspects of charity law and regulation, and today she shares her insights into the evolving, and eroding, rights of charities to campaign and lobby politically. Charities play a much needed role in policy development and regulatory reform. Yet, the ability of charities in England and Wales to participate in the political process, particularly around election times, has been significantly restrained in recent times. In my recent policy review in the Voluntary Sector Review, as well as examining established charity law principles which prevent charities from having political purposes, I focus on recent election law and political developments which have further limited charities’ ability to participate in the political process. Volunteering is a good thing, yes? Perhaps for the organization being helped, but for the volunteers it’s not so simple. In this blog post, Adam Talbot from the University of Brighton, UK shares his latest work on burnout and stress amongst volunteers. This blog post is based on a article which recently appeared in Voluntary Sector Review. Volunteering is often seen as a panacea for the various problems faced by society. Volunteers are thought to simultaneously contribute to the greater good of a society and gain personal benefits, including social capital and practical experience. However, this perspective ignores various issues with volunteering, including the treatment of volunteers as free labour and the stresses placed on volunteers. 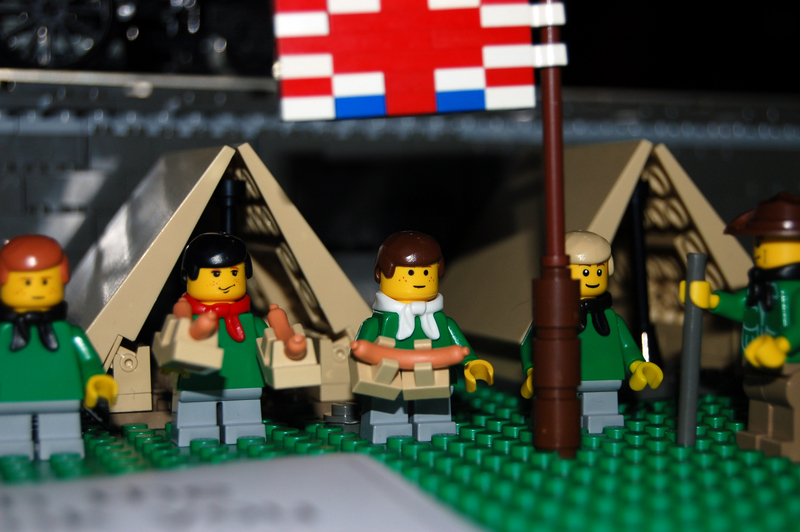 In this blog post, I provide an overview of this darker side of volunteering, drawing on research conducted with a Scout group in northern England. Leaders in the Scout association give their time freely, motivated by various factors, including enjoying scouting, giving something back (both to the local community and to a system volunteers have been part of as youths) and ensuring the “service” is available for their children. However, despite these laudable motivations, many volunteers find themselves stressed and burnt out by the demands placed on their time. Once they are involved with the organisation, they know how much needs to be done and therefore end up putting in more work than is necessarily healthy in the long-term. They become entwined in a system that drains their free time, a problem exasperated by a neoliberal political system which leaves individuals scant leisure time in which to volunteer and treats volunteers as free labour, in this case as free childcare at evenings and occasional weekends. 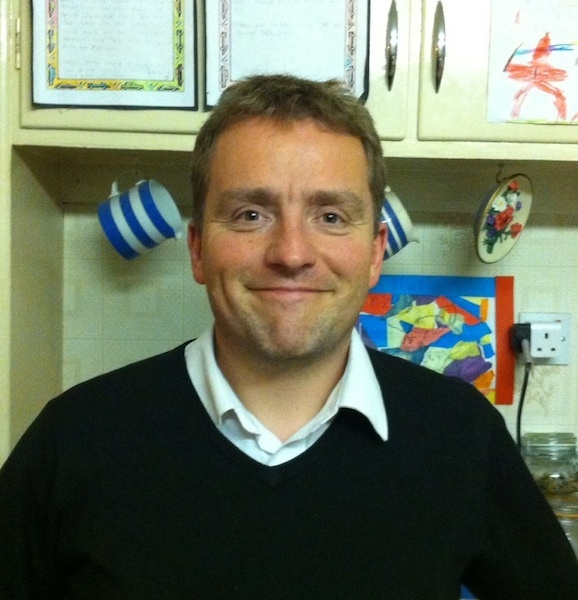 For some, such as Dean, a Group Scout Leader, this can be managed as his role involves the organisation of large events, requiring significant investment of time and energy, but also allowing him to take time away from Scouting when needed. For example, after a recent camp which he organised, he commented that he wouldn’t be doing anything to do with scouting for at least a couple of weeks. For others though, such as Phil, an Assistant Scout Leader, the role they are in does not allow these periods to de-stress. He is required to run meetings every week (as well as occasional weekend camps), which is not only an inflexible time commitment but can also be a monotonous routine. This leads volunteers like Phil to feel burnt out, devoid of the energy, ideas and enthusiasm which characterises Scout leaders at their best. Hence, Phil is considering leaving the organisation, commenting that he feels “the system’s crap” due to the lack of support he has received. This is symptomatic of a system straining under a lack of available volunteers, as more immediate concerns with other sections (e.g. Cub Scouts) whose leaders either had already left or were leaving without any replacement. Phil feels under these circumstances that despite the stress Scouts causes him, he is unable to leave as that would put much more pressure on others: “I feel like, not pressured, but I feel like I’ve got to do it”. During the research, a small number of interviews were conducted with volunteers. At almost all of these interviews, participants commented that while we all share these stressful experiences, we never really discuss them with each other. While there is more to do to solve the problem, including challenging neoliberal policies which have a detrimental impact on volunteering, more collaborative reflection on practice would assist volunteers in managing their own time to avoid burnout. It is important to note though, in conclusion, that while darker elements of volunteering exist and certainly deserve greater attention from volunteers, policymakers and academics, volunteering in scouting was and is incredibly enjoyable and meaningful for participants (including myself), and the focus on negatives in this post does not fully reflect the experience of volunteering. Read Adam’s VSR article in full here. Research and busy practitioners: won’t get fooled again? Originally posted at http://www.ncvo-vol.org.uk/networking-discussions/blogs/209/12/10/23/research-busy-practitioners-wont-get-fooled-again on 23 October 2012. Last week I had the good fortune to speak at the launch of a new book, Helen Kara’s Research and evaluation for busy practitioners: A time saving guide. Whilst the event – and the book – wasn’t aimed specifically at a voluntary sector audience my task was to think the unthinkable (or should that be research the unresearchable?) and question just where is the voluntary sector at the moment when it comes to research and evaluation? I reckon its a pretty mixed bag. My guess – i.e. not evidence based – is that once we put aside the charities whose primary purpose is research or public policy, there are parts of the sector that excel in being evidence driven: I’m thinking the large national children’s charities, for example, organisations with dedicated research and evaluation staff and, hopefully a culture of learning. But after that, it is still the case that there is a long tail of organisations where research and evaluation play a much smaller role in developing policy and practice. The reasons are likely to vary: lack of, or prioritisation of, resources will figure highly. In many organisations, research and evaluation will be part of somebody’s job role, a slice of their daily time budget. But is it still the case that there are organisations out there with a more difficult relationship with research and evaluation? What you might call the research refuseniks, the gut instinct operators, and in some cases the research abusers. Whether by accident or design, it strikes me that we need to help this long tail get better in its use of research and evaluation. The evidence hurdle gets higher – and harder to jump over – every year. The ‘do we make a difference’ challenge now comprises the expectation that organisations with small numbers of staff are sometimes expected to undertake complex needs analyses, cost benefit assessments, summative evaluations, SROI calculations. And so on: my point is, this is often skilled stuff. Given that there are probably few full time researchers, what should we do? The research creators are, as the name suggests, undertaking primary research. I think we need to put this group in contact with each other (more peer support, such as via VSSN) and provide them with guidance that supports without leading them into any bear traps – ARVAC‘s guide to getting started in community research is a good example. We should also help to network these people with the academic community, where a surfeit of initiatives are trying to build community-university partnerships. But I’m not sure how realistic it is to aim for more creators – and I know I am possibly going against the research co-production grain here. More numerous are likely to be the curators: those who are trying to pull together ‘the state of the art’ type reviews, ideally in 2-4 pages from my experience. For this group I reckon we should be trying to make use of tools such as Rapid Evidence Assessments or, even better, getting our academic colleagues to produce more such briefings. One wonders whether the research councils should hand out far more brownie points for such reviews. The commissioners are increasingly commonplace as voluntary organisations attempt to become more evidence-based. I’ve heard many a comment that much commissioning in our sector is, ahem, wasted. Bad practices – such as the idea that any commission should cost no more than £10,000, or that primary research is always necessary – can again be addressed by better dissemination of some good guidance. I think this is increasingly a critical group that we should support, whether in terms of skills or knowledge of where to buy from. And finally, the research consumers. As we’ve moved to a knowledge economy we are faced with a deluge of data, information, knowledge, intelligence, insight…but what’s valuable? How do we sort the wheat from the chaff? This is a problem for the commissioners too. I wonder if its where we should concentrate our effort – helping busy practitioners and managers to commission and consume research and evaluation by empowering them to know what good research and evaluation looks like. There are available frameworks to help public sector policy makers judge research quality, for example. Hence, at the launch of Research and evaluation for busy practitioners I argued that if the book was a song, it would be ‘Won’t get fooled again’. I reckon the advice in the book for practitioners is part of the answer to the sector’s uneven progress to being ‘research ready’. But its only a part. We also need to focus on other parts of the system, for example the funders and commissioners who are asking for evidence. And it’s not enough for voluntary organisations to be research ready: researchers need to be sector ready. As such, I’m glad that NCVO is supporting the Alliance for Useful Evidence. We also need to think about issues at a sectoral, or sub-sectoral, level, such as standards and principles. This issue came up at the launch of Inspiring Impact. The launch covered many other issues – including how we better translate research into policy and practice (avoiding the sudden reveal, what the excellent Jane Lewis called the ‘Ta Da!’ approach to research findings), and how as voluntary organisations we deal with research that shows we aren’t as good as we think or hope we are. I’ll blog about these another time if someone asks! In the meantime, this is a good book worth buying. Research and evaluation for busy practitioners by Helen Kara is available to buy with 20% discount here.